I agree she had that special look. …and thanks for the feedback. Hope your weekend was well and wishing you a fine week ahead. She’s the Christie Brinkley of does. Unless you’re wealthy you probably couldn’t have afforded her fees! I defenitaly could not afford her fees. Thanks and thanks for taking time to leave us some feedback as we do appreciate it. That photo really shows the large ears. 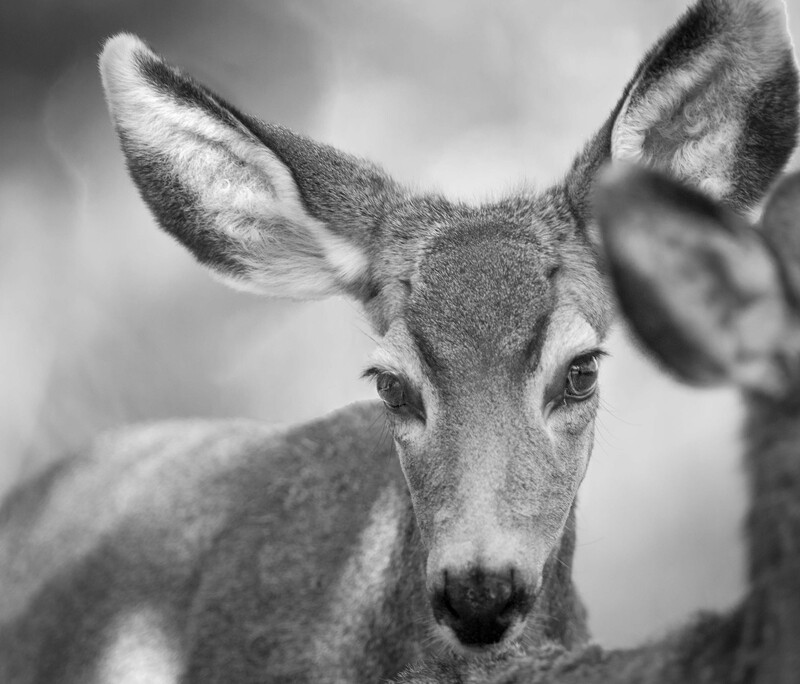 “All the better to hear you, my dear.” Our White Tail have big ears. Not that big. Hi Jim, we have both White Tailed and Mule deer wandering the area and although both have big ears the mullies ears are usually much bigger. They are beautiful animals. Have only seen them maybe once. Hi Ted, looks like you are due for a trip west sometime. I would not hold your breath on the leg room. I heard that a company is experimenting with stand-up seats. I think there would be an additional charge for the shrink wrapping. She sure is. Exquisite photo, Mike, you captured her gentle beauty. Thanks Jet, she did stand out from the crowd that day. Lovely doe! I’m reminded of Little Red Riding Hood’s comments about her grandmother’s big eyes, ears and nose! She does seem to have those attributes. Hope your having a great weekend. Doe a deer. How lovely can it get…enough to turn you vegetarian? It has me. Hi Paula, she is a beauty indeed.